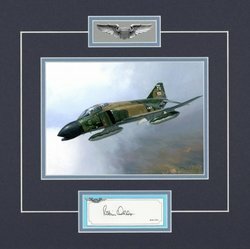 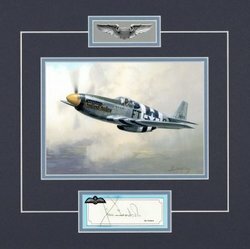 Every original American Combat pilot’s signature, acquired in the 1980’s, is supported by a Certificate of Authenticity. 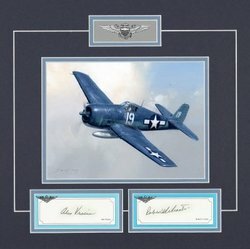 BRONZE and SILVER Autograph Print Ensembles have triple-mounts, quality art and gilt metal American pilot’s wings – priced from $50. 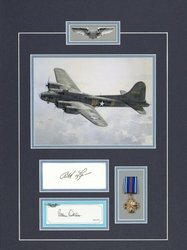 GOLD and PLATINUM Editions have mounted replica miniature medals – priced from $80.